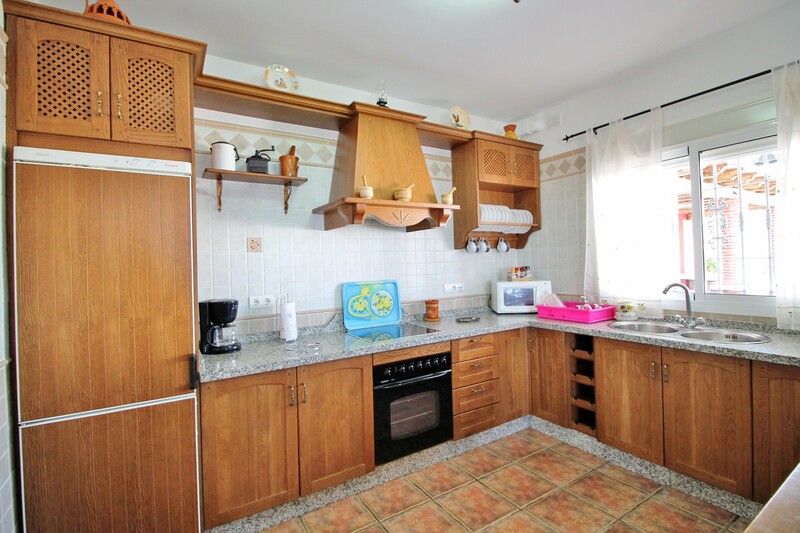 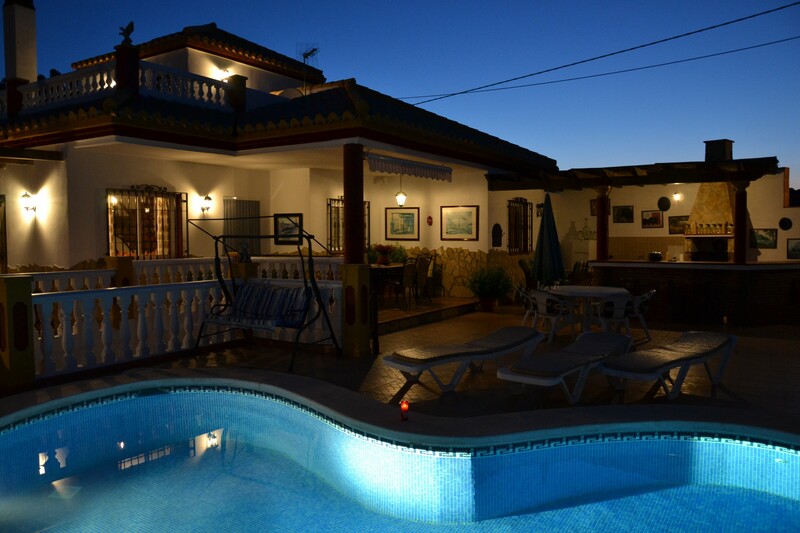 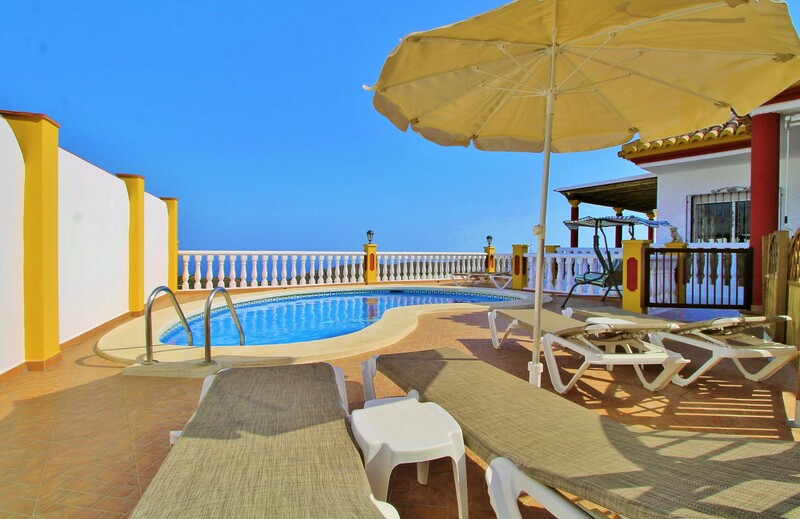 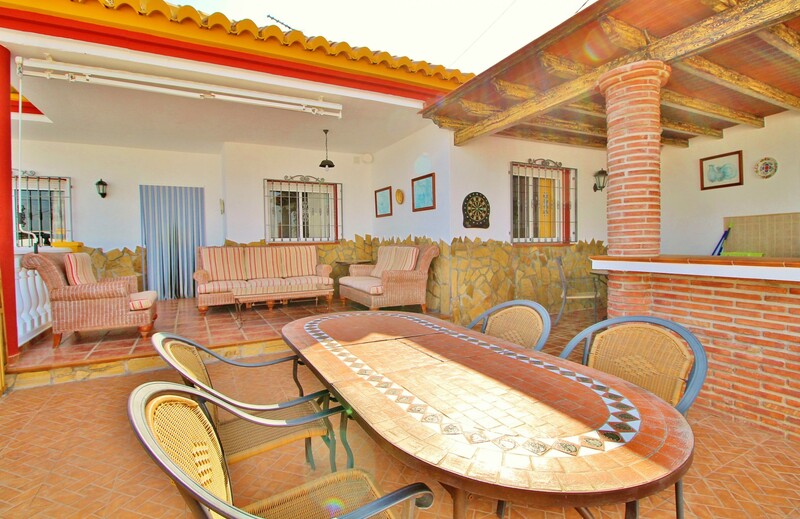 This 3 bedroom split-level villa in Torrox has one double bedroom, two twin bedrooms and two bathrooms with capacity for 7 guests. 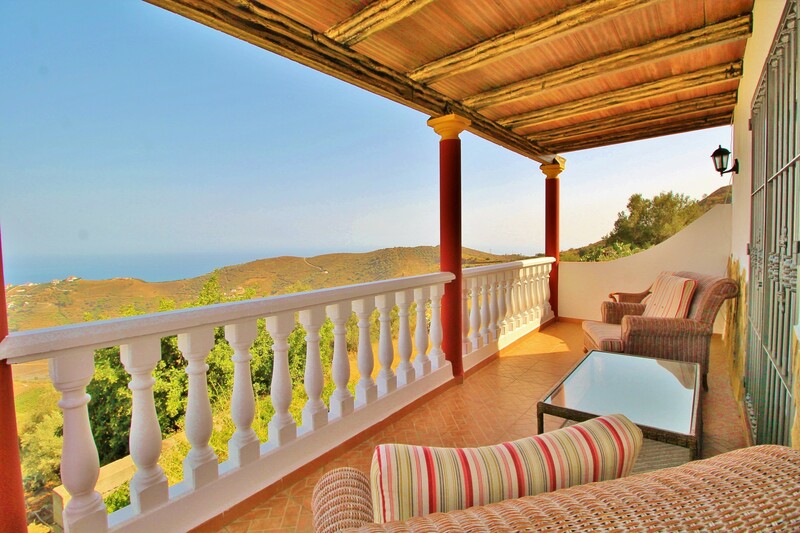 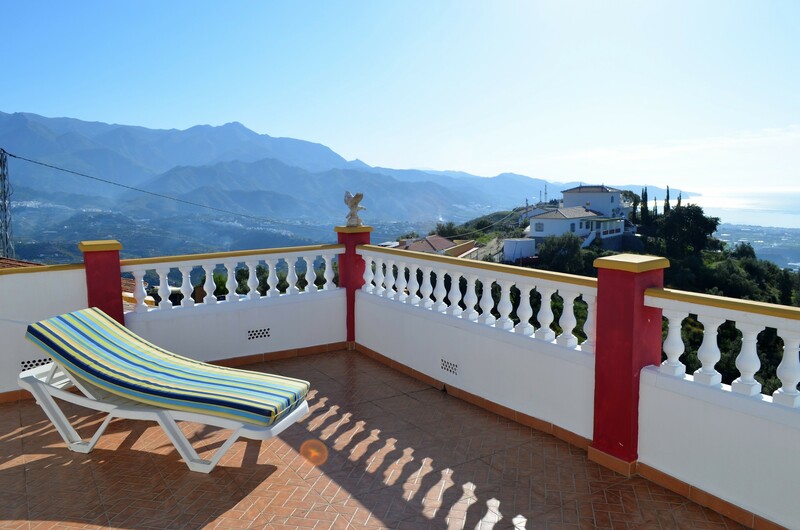 It is a spacious villa with a private pool, set in a quiet, rural location with wonderful, panoramic views of both the sea and the mountains. 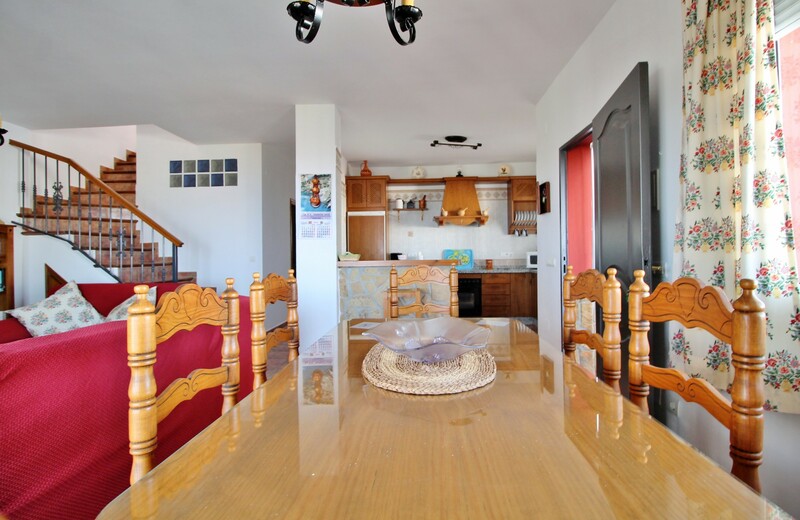 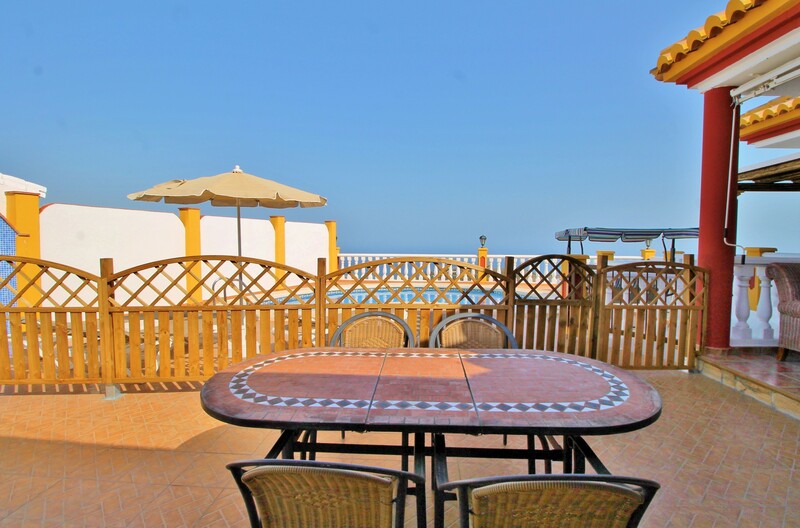 Outside:	Private swimming pool, patio furniture, fenced patio, barbecue, private parking area. 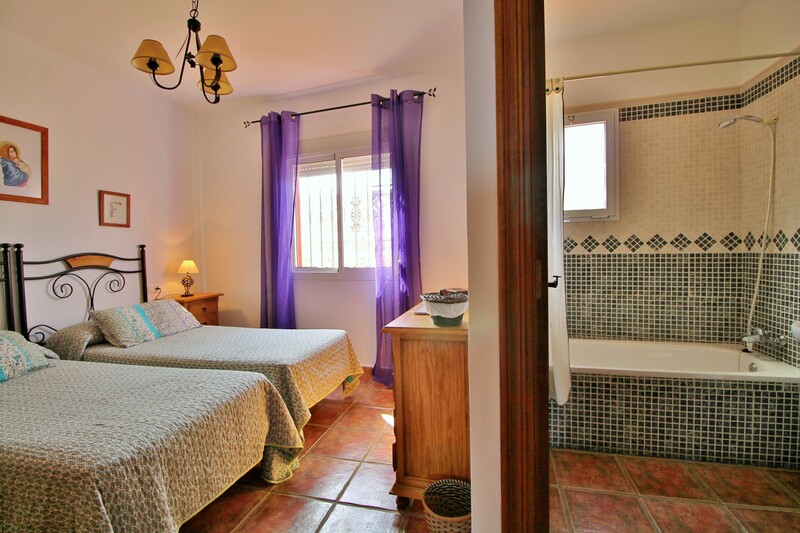 Inside:	Internet (Wi-Fi), fireplace, iron, hair dryer, balcony, TV with satellite channels (languages: Spanish, English, German, French), stereo, DVD player, cot. 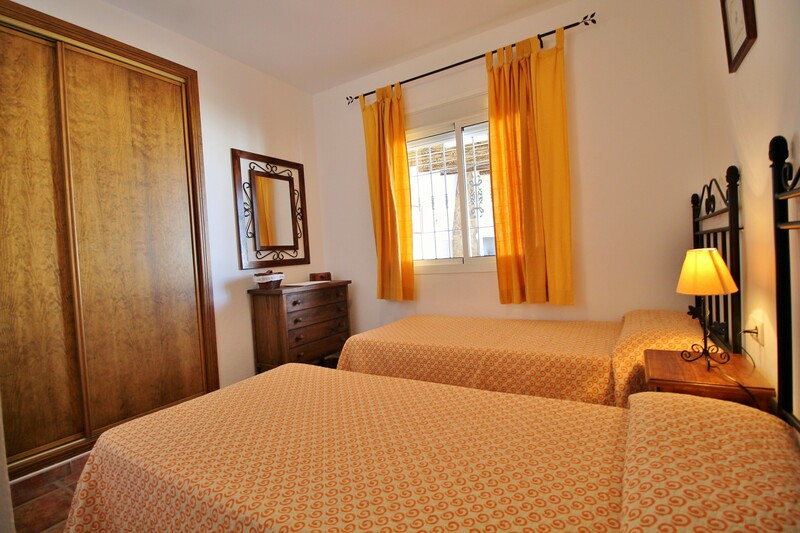 High chairs and additional cots can be rented for a small extra daily charge. 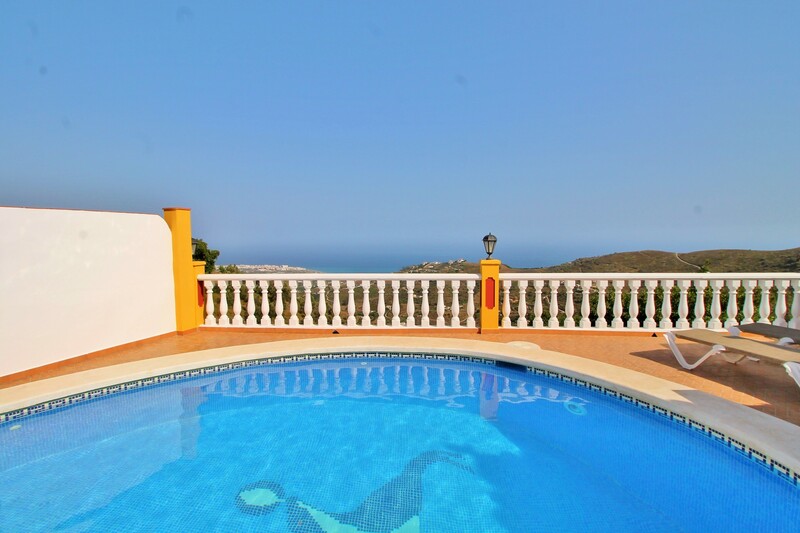 The pool at this villa measures 6 meters x 4 meters. 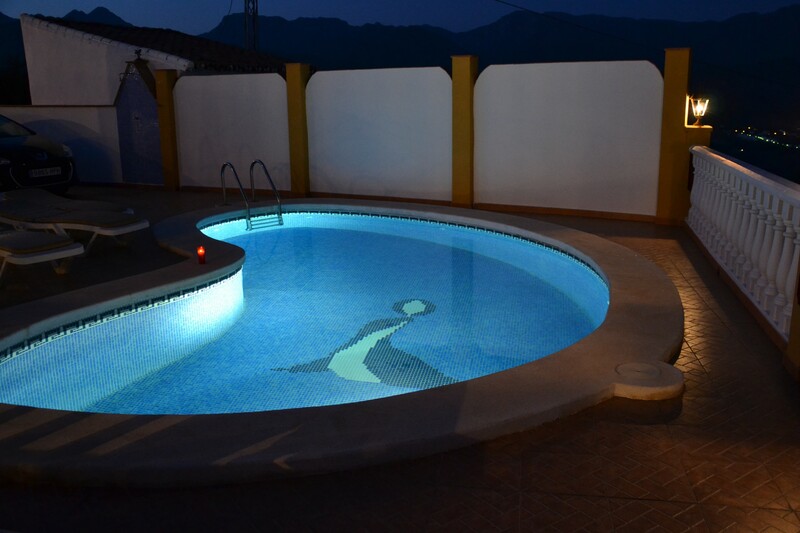 It has a depth of 1 meter at the shallow end and 1.9 meters at the deep end. 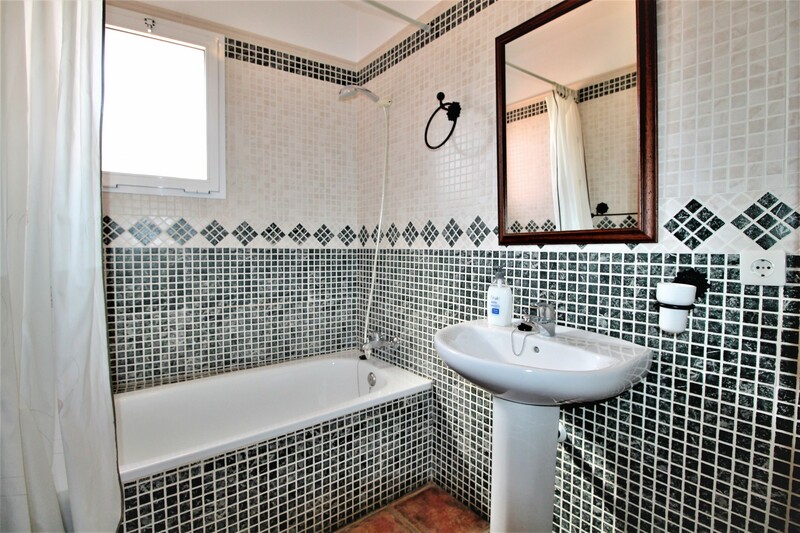 The property has two bathrooms, each with a bath/shower and wc. 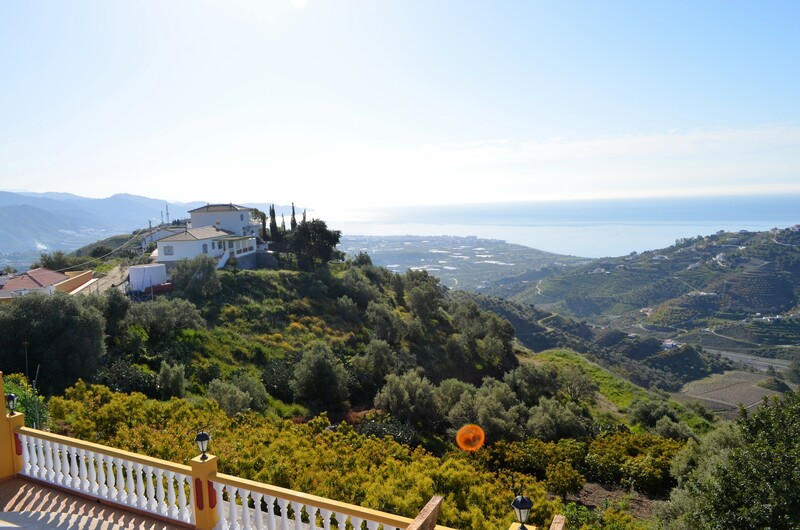 Villa Cortijo Martin is located 68 km from Malaga airport, 115 km from Granada airport, 5km from Playazo beach, 6km from Torrox with restaurants and supermarkets, 22 km from Aquavelis water park, 7 km from the famous Balcon de Europa in Nerja, 11 km from the famous Nerja caves, 10 km from the pretty hilltop village of Frigiliana, 25 km from Baviera Golf course, 80 km from Tivoli world amusement park / theme park, 105 km from the world famous Alhambra Palace in Granada. 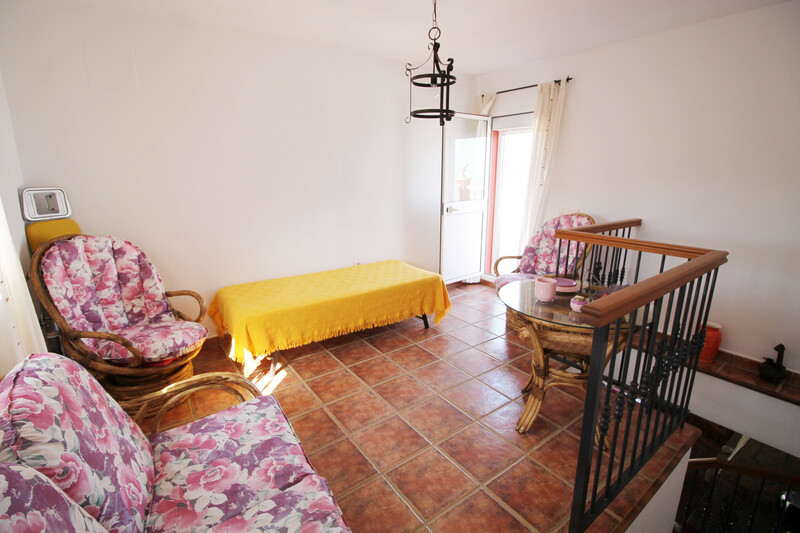 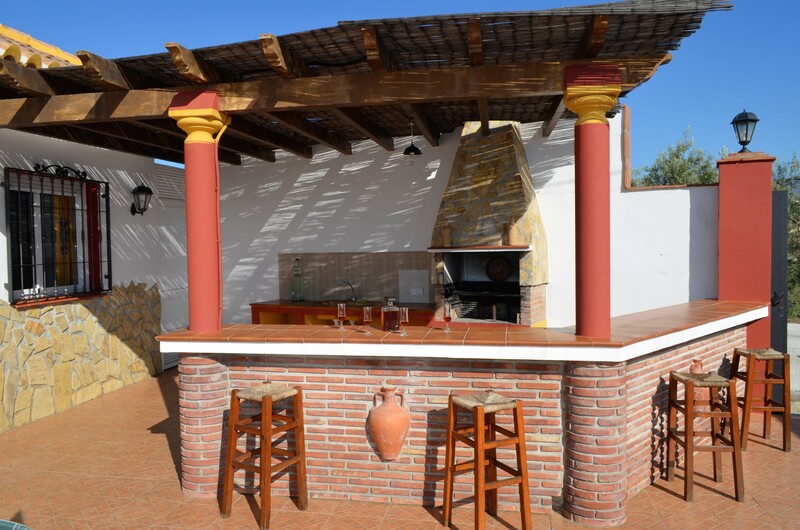 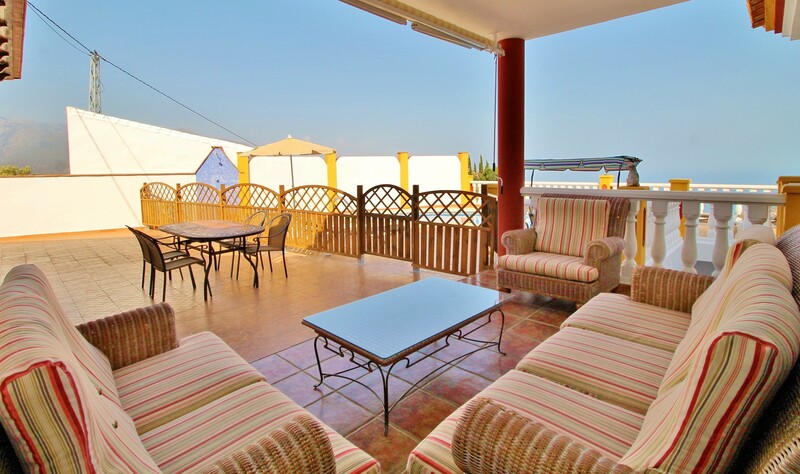 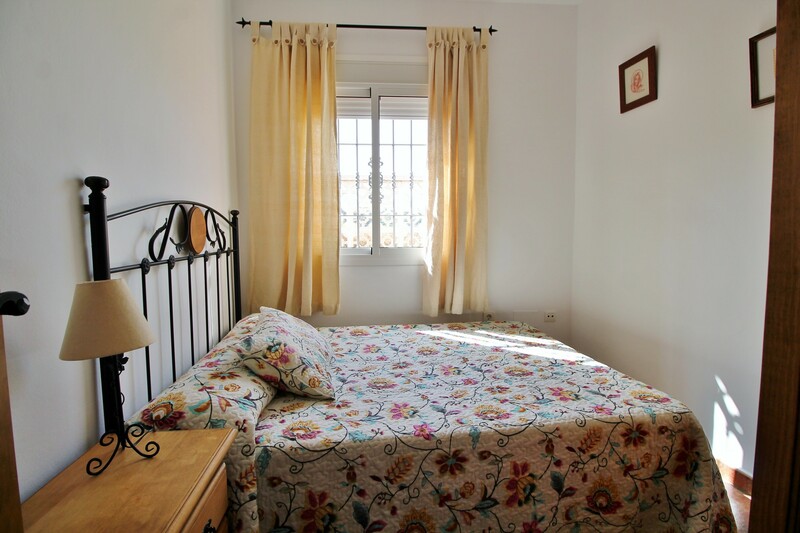 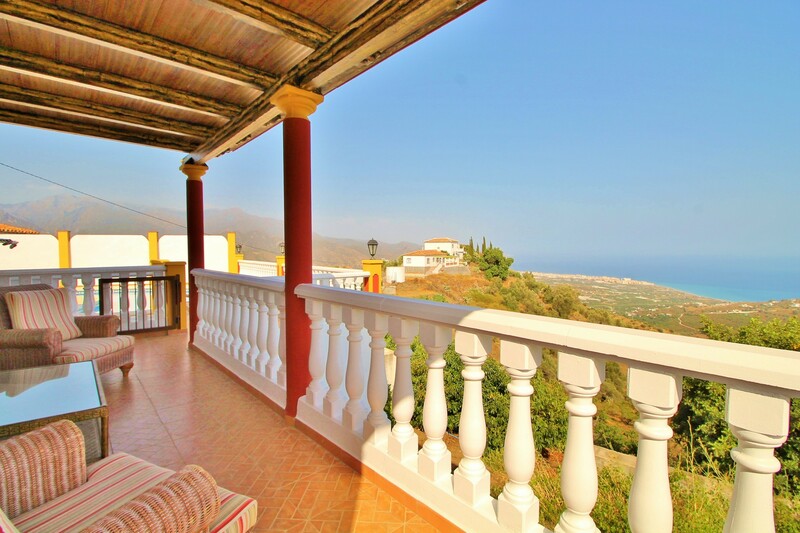 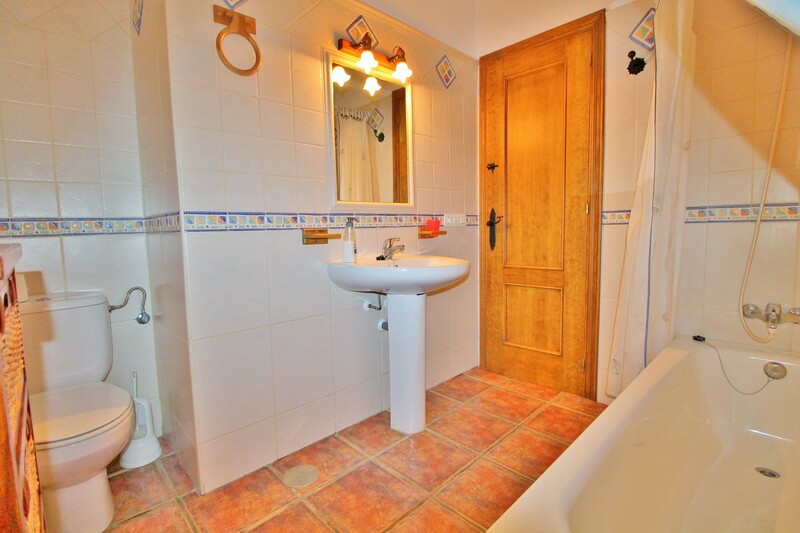 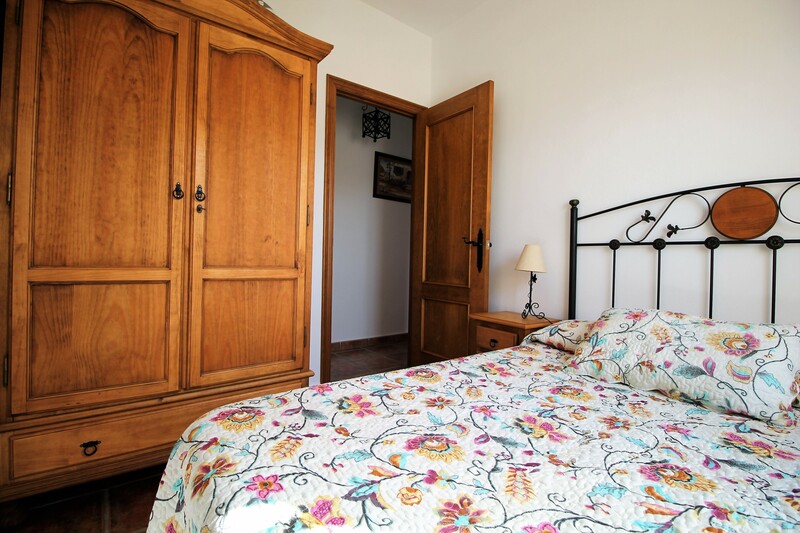 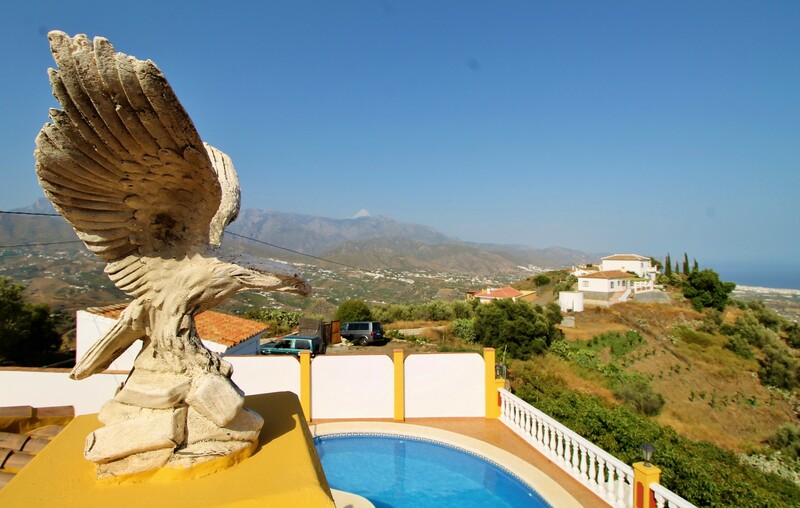 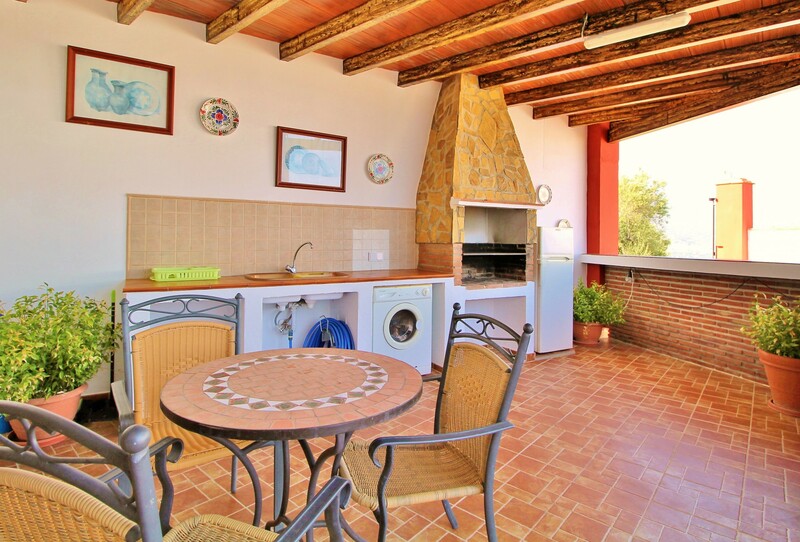 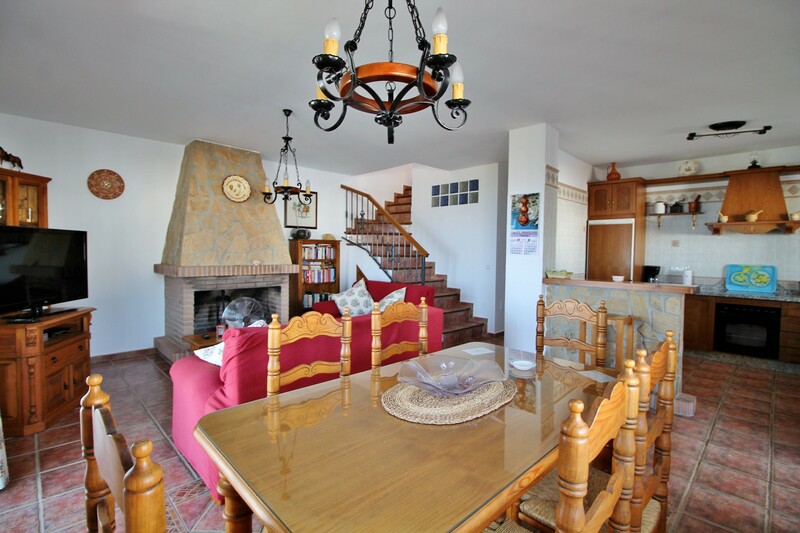 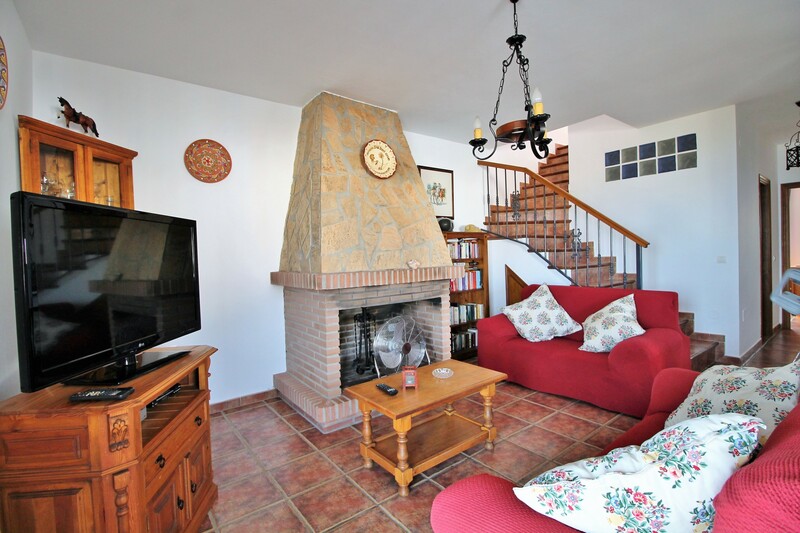 1 TV, TV Satellite (Languages: Spanish, English, German, French), Stereo, DVD, garden, garden furniture, fenced garden, 100 m² terrace, barbecue, fireplace, iron, internet (Wi-Fi), hair dryer, balcony, childrens area, 135 m² property, 300 m² plot, admitted animals with weight up to 176 oz (Dangerous breed dogs not allowed), electric heating, private swimming pool (dimensions 6 x 4, max depth 6.2 ft, min depth 3.3 ft, opening date 1/1, closing date 31/12), Open-air parking in the same building.